Peterson Russell Kelly, PLLC is a business law firm with a dedicated highly experienced immigration group. PRK is pleased to announce that Barbara A. Marcouiller has joined Kyung Sam Shinn, and together they will lead our growing immigration practice. PRK attorneys have the in-depth experience to excel at complex legal issues and situations as well as routine legal matters faced by businesses in the Pacific Northwest and beyond. 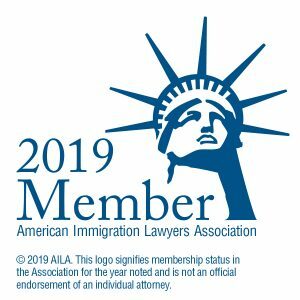 Increasingly, we find both our corporate/organization clients and our individual clients need quality advice on immigration matters, whether regarding employment or family status, or citizenship. Our immigration practice assists businesses to establish legal status for critical employees and their families. Our I-9 attorneys will develop a compliance program to help you stay on the right side of federal regulations. We went to Barbara during the green card application for our son when we realized that it involved complications and may drag us nowhere forever. Barbara was very knowledgeable, she laid multiple options and also recommended us the most effective path which actually saved us thousand dollars in travel cost. In each step, she always provided us valuable advice promptly and let us know what to expect next. It also surprised me that immigration process sometimes could go wrong with unexpected oversight from USCIS. During our case, Barbara's great communication with immigration office has corrected this type of oversights twice and dramatically accelerated the process. I am so happy that my son received the green card much more earlier than we expected while we have a peaceful mind all the way through. In the past 10 years our family had hired several immigration attorneys, Barbara was surely outstanding and the best! I would like to recommend her to anyone who is looking for help, and I'm sure you will never disappoint! Thanks Barbara ! Professional, kind, accurate, I feel really grateful and confident about her direction and advice. If you heard the story about a soldier who met a Christian Iraqi girl in Iraq, fell in love and ultimately received worldwide media attention, even going on Oprah with Garth Brooks...well...Barbara made it possible. I can whole-heartedly recommend Barbara for any issues regarding immigration. Barbara was able to help my fiancée get to America under the most extreme of circumstances. She fought so hard for our case even lobbying before a congressman and other federal employees. She was able to get our case expedited and never stopped supporting us until I had my wife safe here in America. Anyone who chooses Barbara will get [a] professional, kind, and hard working immigration attorney. ... She ... is more than worth it! After almost a year trying to jump through all the immigration hoops on our own, Barbara got the paperwork refilled and straightened out so my retired Canadian husband could join me here in Seattle. It took her about 4 months - nothing compared to the time we spent fighting through the system. While her fee was reasonable, the peace of mind was priceless. My wife and I engaged Barbara in February 2015 to assist with obtaining US citizenship. Her office uses a secure web portal for submitting documents (N-400, passport, green card etc.). This is a real time saver. Due to a whole bunch of competing priorities, it took us a few months to get all the required info together. We finally got it done in August 2015, received a CIS confirmation letter in September and attended our interview/naturalization ceremony in February 2016. Throughout the process, Barbara went the extra mile to make sure everything was correct. The week before our final interview, she spent 2-3 hours with us in her office to double-check all the documentation and drill on civics questions. On the day of the interview, Barbara had requested the CIS supervisor in Seattle to schedule my wife and I sequentially so she could be present. I was interviewed first, and my wife had been called in without legal representation. Barbara told the immigration officer that she had to put my interview on hold so she could take care of her client. The immigration officer was dumbfounded! Nonetheless Barbara prevailed, my wife was allowed to wait until my interview was done so Barbara could be present. We both passed our civics exams/interviews and are now US Citizens. Barbara provided exactly the representation we needed to be successful. In addition, she displays a passion for immigration law and a willingness to fight 'the establishment' when required. Immigration law is highly complex and fact-specific. As every case is different, we can make no guarantee that we will be able to achieve a successful outcome. Taking the wrong action, even if done entirely by mistake, can result in added years to the process (and in some cases, can mean starting the process over). ICE shifts immigration enforcement targets to employers by significantly increasing the number of I9 audits it conducts. Homeland Security Investigations Director Benner stated on May 14, 2018 he intends to create a "culture of compliance" by instilling in employers "a reasonable expectation that they will be audited." The Associate Press reported him to state, "I think it's a game changer." Be ready. Read here to learn how to prepare.